On April 6th 2018, Canadians (and much of the world) were shocked and saddened to hear of the Humboldt Bus Crash that killed 16 people and injured 13 others. Most of the dead were members of the Humboldt Broncos Hockey Team, but there were also media members, the driver, and support staff involved. A semi-truck hauling peatmoss went through a stop sign and the bus ran into the side of it, causing a massive collision that tore the bus and trailers apart. The team was on its way to Nipawin, SK to take part in a playoff hockey game. Since that time much has occurred and just recently, on March 22nd 2019, the driver of the truck was sentenced to 8 years in prison. That ends this part of the story, and hopefully provides closure for the family and friends of the victims, but is the story really over? The driver of the truck, Jaskirat Singh Sidhu is 30 years old and accepted full responsibility for the accident, and avoiding a trial that could’ve dragged on and been really difficult on the families. He had only been driving the truck for 3 weeks and was really untrained for what he was doing . (SEE: The State of the Industry) According to court testimony, Sidhu was distracted by a flapping tarp on his trailers and avoided the five warning signs and a stop sign prior to the crash. I have driven that highway many times and the stop sign is extremely visible and difficult to miss. But distractions cause issues and this time it caused a big issue that resulted in 16 deaths and many more lives were changed forever, including Sidhu’s! Sidhu did not set out that day to kill anyone and I have said that from the very beginning. As a professional truck driver, my daily goal is to do my job in the safest and most efficient manner possible, and end the day without having any incidents, and I’m pretty sure that was his goal also. He has admitted, as stated, to full fault of causing the accident and has been sentenced for that. But is eight years in jail sufficient punishment for taking 16 lives? No it isn’t! The other question is eight years in jail too much punishment for taking 16 lives? Yes it is! How can it be both? Well lets break it down. Sidhu was sentenced to eight years in jail for every death, and five years in jail for every injury. This adds up to a total of 193 years! In Canada we have no precedence for anyone to serve that amount of jail time for any crime, and Sidhu didn’t commit a crime! But still taking 193 years down to 8 years seems really unreasonable for such a horrific incident. Would adding more time make the sentence more reasonable? I’m not sure, because from what I’ve seen in comments about the sentence, no amount of jail time was sufficient for some people. But lets look at if its too much. As stated, Sidhu accepted full responsibilty and spared the families a lot more trama. His total inexperience behind the wheel is a mitigating factor, and his company is complacent and should be held fully responsible also. And what happened, although fully avoidable, was an accident, or incident that was not preplanned or premeditated. It was caused through lack of experience and inattentiveness. And honestly it could happen to anyone of us! In my opinion, and I am entitled to it, one of the biggest factors in the call for a longer sentence, and the incredible hatred towards Sidhu that started almost immediately after the accident, is that he is not a Canadian and he comes from India! If Sidhu was white and named Tommy Smith, Canadians would be rallying around him and offering support, but Sidhu is not one of us! I’ve seen vile comments made online on Twitter, Facebook and in forums that have called Sidhu all sorts of racist names, and it has nothing to do with the accident, just who he is. God teaches us to love our enemies (Matthew 5:43-48) But I have not seen a lot of love lately. At the end of his sentence, Sidhu will probably be deported from Canada as he is not a Canadian Citizen, but only a Permanent Resident. His Canadian dream will be over, but that dream really ended on April 6th 2018! While there were 16 killed and 13 injured in that accident, there is another victim, and that is Sidhu. His life was changed forever also that night, and I am sure that not a day goes by that he doesn’t relive that moment.I am sure he wishes he could step back and do it again and make a different choice and avoid the accident, but that only happens in fiction. He now suffers along with the others who were affected. His sentence will not be pleasent. I spent 7 months in jail and it seemed like eternity, 8 years (or portion thereof) will be hard. He will emerge a different man, hopefully a better person, and ready to begin the next chapter of his life. It will be difficult for him to move on, as its difficult for everyone else involved. I feel for the families of the victims, I feel for the victims who are still recovering, or going through their days, and I feel also for Sidhu who I consider one of the victims also. I appreciate that some of you may not share my sentiments, and that you habour hatred for Sidhu, but I do not hate him. I hate what he did, but I can separate the two. We all need to try to do that. 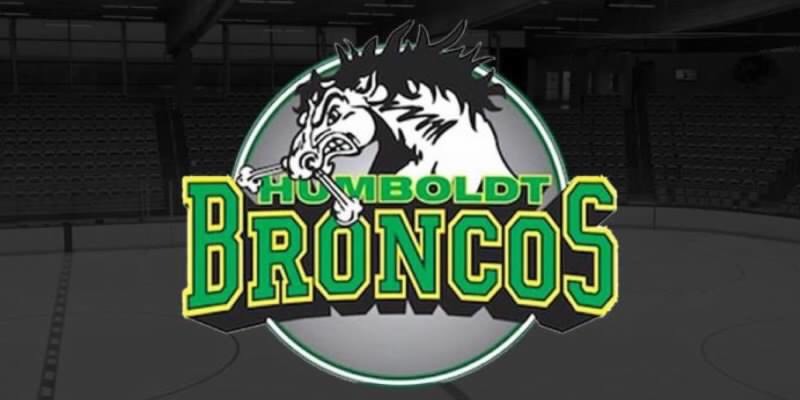 Lastly before I close, I would like to recognize the other 29 victims of the Humboldt Bus Crash: Dayna Brons, Parker Tobin, Darcy Haugan, Brody Hinz, Logan Schatz, Jason Joseph, Adam Herald, Mark Cross, Tyler Bieber, Stephen Wack, Logan Hunter, Conner Lukan, Glen Doerksen, Evan Thomas, Jacob Leicht, Logan Boulet, all deceased. And the injured: Bryce Fiske, Brayden Camrud, Matthieu Comercic, Xavier Labelle, Graysen Cameron, Nick Shumlanski, Derek Patter, Tyler Smith, Kaleb Dahlgren, Morgan Gobeil, Ryan Straschnitzki, Jacob Wasserman, Layne Matechuk. These 29, along with their families are all victims and need to be remembered.